Who wants to see a heavily armed were-bear battling mecha-tanks? 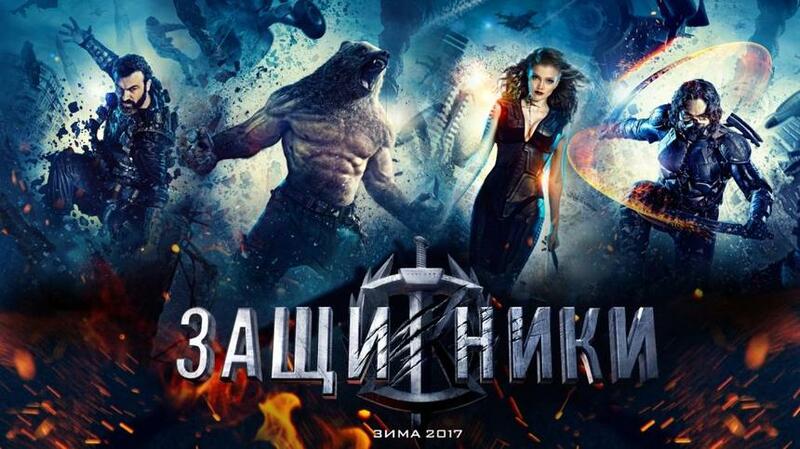 the producers of Russian superhero film Guardians are hoping the answer is 'rather a lot of you' because that's exactly what they're delivering in their upcoming action spectacle. Clearly aiming to put a distinctly Russian spin on the very American format of the superhero film, Guardians appears to be an action adventure very much in the Marvel mold pitting a quartet of super powered humans - a speedster, an invisible woman, one who appears able to manipulate both earth and electricity and the aformentioned were-bear - against a mysterious force attacking Moscow that appears impervious to traditional weapons and tactics. Cue scenes of mass destruction. We've been tracking this one for a while now and after a string of teasers the first full trailer - english subtitled no less - turned up while I was away on vacation last week. So we're a touch late to the party on this one but, hey, it's still a party. Take a look below!